by admin — on July 20, 2015 .No comment. The Wirtgen Group stands for innovation and each of its five product brands is a specialist in its own domain. Aiming to visually underpin the synergies and the team nature of the individual brands, the Group will be presenting itself with a fresh, uniform CI in future. The new visual orientation symbolizes the strength of the corporate affiliation, which has developed over the course of many years, and stands, above all, for one thing: The brands’ joint focus on the needs of customers. The new CI will be implemented worldwide from April 2016. 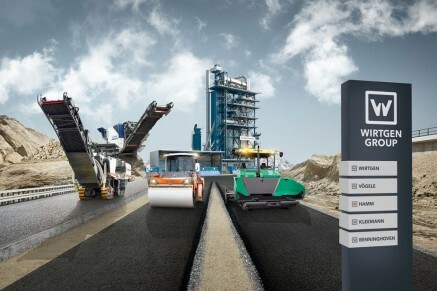 In future, the Wirtgen Group’s 55 sales and service companies will be presenting themselves to the public under the umbrella brand of the Wirtgen Group.